Bitte gebe hier den genauen Aufdruck ein-z.B. : "Pfote Name Pfote", "Herz Name Herz", "Stern Name Stern" oder "Name Pfote Name". 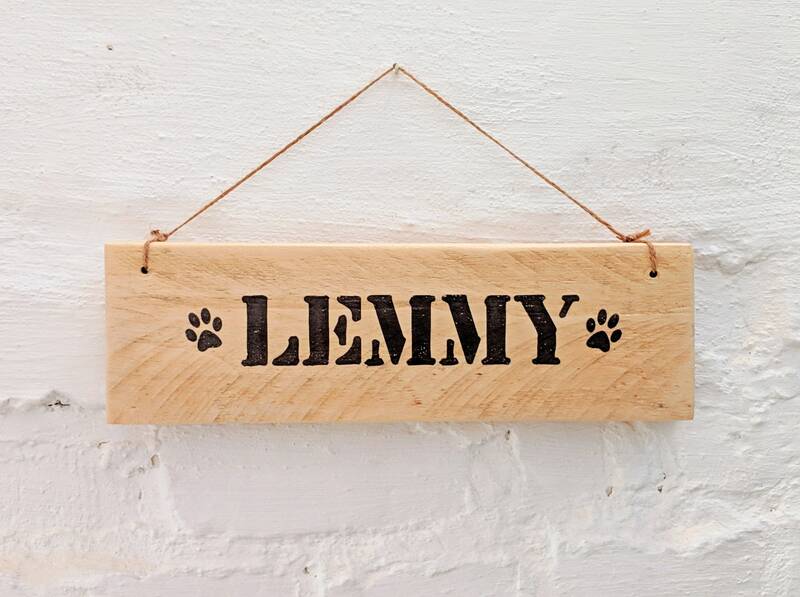 Individually printed wooden sign for the entrance area or above the sleeping/dining area of your four-legged friend. Also as a gift for dog or cat people ♥ it is quite enchanting. When ordering, you can specify your desired print in the form box. If you have any questions, we will be happy to send us a message via the contact form or directly to info [!at] toultime.de.